This fashionable Black handbag is made from very long-lasting non-animal leather material and is great for everyday wear or a night on the town. It is fitted with a signature Wilby chain and a twist lock. 25cm x 17cm x 8cm. The Wilby Drayton Black Handbag product ethics are indicated below. To learn more about these product ethics and to see related products, follow the links below. There are currently no questions to display about Wilby Drayton Black Handbag. 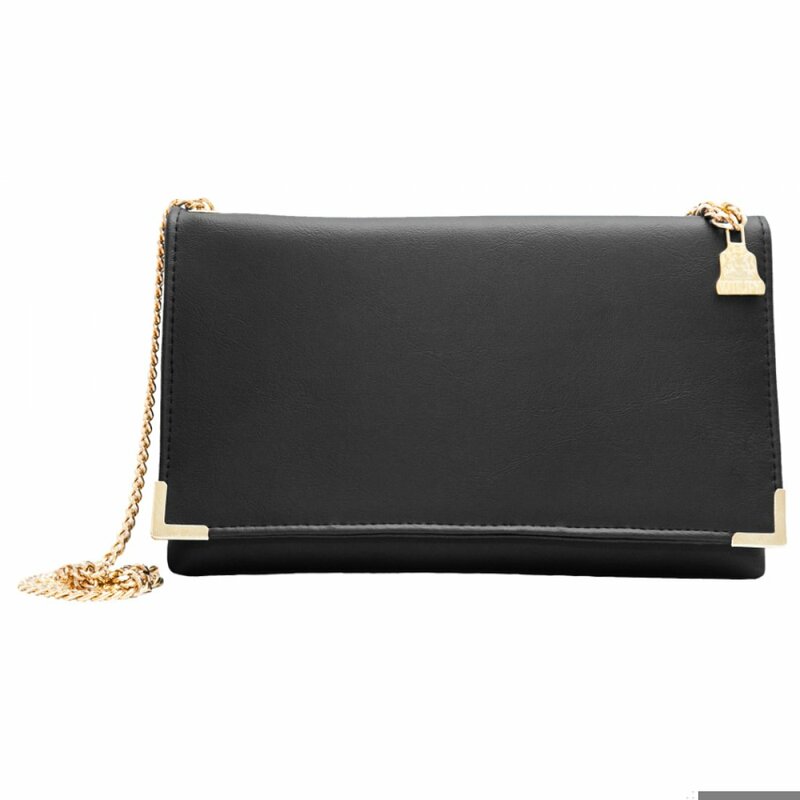 The perception of vegan products is slowly changing for the better and these gorgeous Wilby Vegan Clutch bags might have something to do with it. 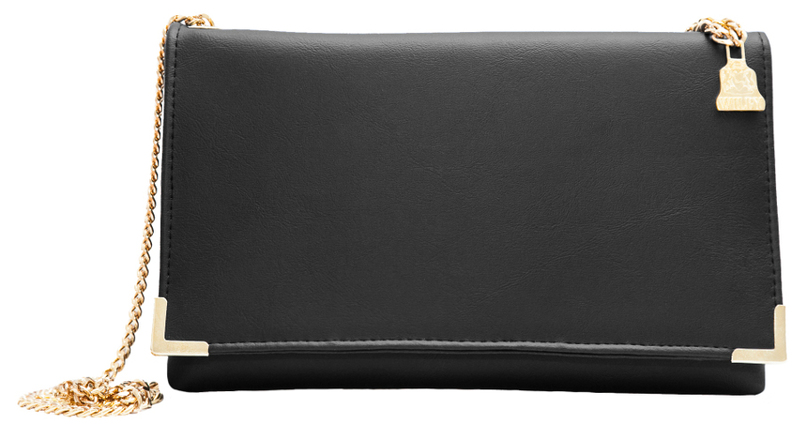 In 2012 the founders of Wilby decided to create a vegan fashion range specialising in the ‘clutch’. These were to be animal free products that are certified for legitimacy as well as being eco sensitive and environmentally aware. Wilby have stated that ‘this brand is for people who want to be fashionable but struggle with the leather market due to vegan values or environmental beliefs’.